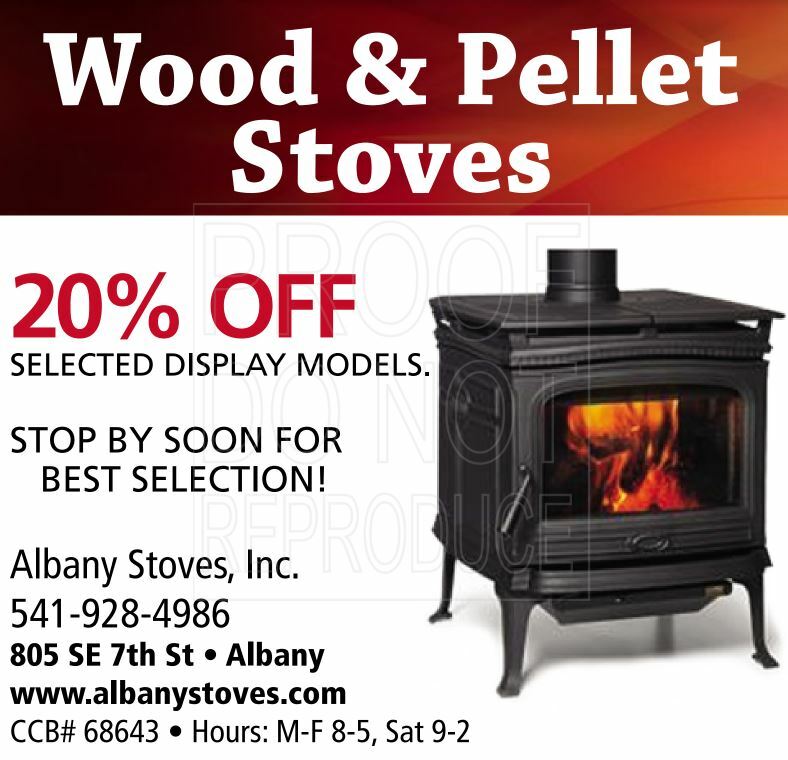 Albany Stoves, Inc. offers a huge showroom of stoves and inserts. Come check out our selection of used stoves! Quality barbeques and grills are on display. If you are in the need of stove installation, repairs or Chimney Sweep, then give us a call. We even offer spa relocation services and pool & spa chemicals - supplies. We carry top quality brands of wood, gas, and pellet stoves. See our recent addition of the new Pellet Kamado Grill by Black Olive Grills. 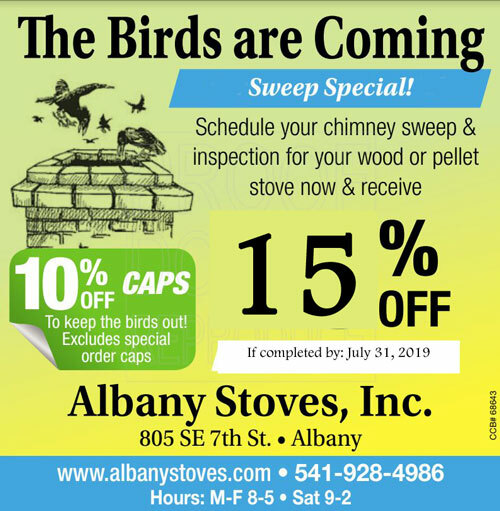 CHIMNEY SWEEP QUOTE ONLINE for Mid-Willamette Valley of Oregon Residents, click here to send your request today. Servicing Albany, Lebanon, Corvallis and Surrounding Areas in Oregon.